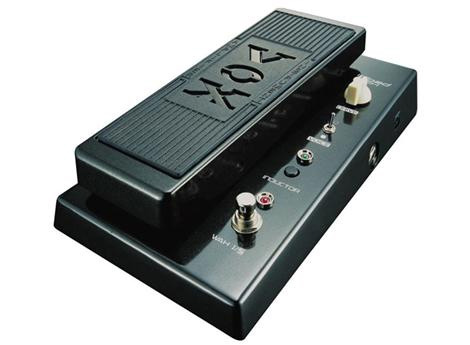 The Vox Joe Satriani Big Bad Wah Pedal is an incredibly flexible wah pedal created by Vox in partnership with Joe Satriani. The usual problem I have with ‘signature’ guitar gear is that often the guitarist never actually uses the gear. You see the guitarist promote the product and talk about how it shapes their tone, then when you see them live, they’re not even using it. With Joe Satriani he actually does use this wah so if you go to a Satriani concert and look at his pedalboard, you will see the Big Bad Wah every time. Update: unfortunately the Big Bad Wah is now discontinued so you may find it hard to grab one. 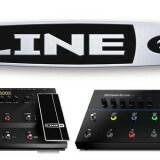 Joe still uses it in his live rig, but they’re no longer available to purchase. They’re still out on the second-hand market so I’ll keep this review up if you’re considering buying one. 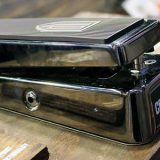 Otherwise, I recommend reading my guide on the Best Wah Pedals to pick the right wah pedal for you. The top drive control allows you to dial in some extra overdrive gain to give the wah an extra push. This works really well when you want to get that thick growl out of your wah but don’t want to change your tone when the wah is off. It allows you to push the gain up to an extra 10db. The mini toggle switch allows you to change from a standard bright wah sound typical of wahs such as the Dunlop Crybaby and a darker and more voice box style wah. The darker vocal style wah sounds very similar to the type of wah Satriani uses on later albums. The up position is the brighter wah. The main idea here is to switch between a vintage UK style wah and a modern US-style wah. The selection here will affect both Wah 1 and Wah 2 which means you can stick to vintage or modern sounds with one selection. The green LED will indicate which setting you have chosen. At the bottom of the wah is a standard footswitch that allows you to change back and forth between the two wah sounds. A red LED displays so you will always know which wah you have selected. Compared to a standard wah such as the Crybaby (see my review here), this wah requires a bit more setup to dial in the tone you’re after. So from that point of view, it’s not as easy as a standard wah where you just plug it in and play. But at the same time, this means you have far more flexibility as mentioned later. The controls couldn’t be simpler – all you have is one dial, one switch, and a toggle. You can instantly hear how each switch affects the tone and can decide which option suits you best. While playing changing between the two wahs is easy as the mean selector is far enough away from the main wah that you can easily step on it when you want to. Enabling the wah requires a fair amount of pressure on the tip of the pedal like any other wah. I found that it required quite a lot of pressure when sitting down. This is the best sounding wah I have ever tried. Experienced guitarists may recoil at that statement but I have tried the Dunlop Original Crybaby and when compared to the Big Bad Wah the differences are obvious. The Crybaby has one sound. You cannot tweak the sound (without physically modifying the pedal) to suit your taste and to some players, it will sound thin. At least with the Big Bad Wah you can change the settings and create a wah sound you prefer. As a guitar teacher, I always encourage my students to seek out their own unique sounds and create a tone that they enjoy rather than blindly accept what other people state is the ‘best’. The Big Bad Wah allows you to create your own unique wah sound – the Crybaby does not. Wah 1 sounds like any other standard wah. For that reason, I only really use it on certain songs where a basic sound is needed. Wah 2 can be anything from a traditional wah sound to an over the top growling mess (in a good way) – depending on how you set it up. With Wah 2 you can actually create a wah sound that sounds remarkably like what Satriani would use on an album. 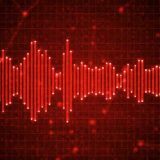 The darker voice setting gives a very vocal sound that would suit metal players or any other guitarists looking for a thick wah sound. The response from the wah is excellent at the lower and higher range of the guitar – something other wahs have problems with. Some wahs work well in one specific range on the guitar but have trouble in other areas. With the Big Bad Wah I felt I could play anywhere on the fretboard and the wah could clearly be heard without a problem. This pedal isn’t True Bypass although it does have a very good quality bypass buffer built in. 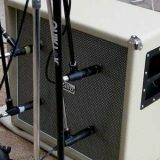 When I tested the pedal in the OFF position and compared it to a signal without the pedal, I couldn’t hear any tone sucking (read this guide to understand what this means). The wah is built out of metal and is quite heavy. Some people have reported that they had trouble with components after a while although I have not had any problems after a few years of use. The wah is also very stable on the ground. As it has a wider base than other wahs such as the Crybaby, you are less likely to stand on it wrong and have it flip over. Joe Satriani fans – if you enjoy playing Satriani songs then this wah is a must. Having the darker vocal style wah matches perfectly with the wah sound used in songs such as ‘Souls of Distortion’. Any other guitarists – you don’t need to like Satriani’s music to enjoy this pedal. Like any other wah you can use it in any style. The fact that it is incredibly versatile and you can tweak the sound to your liking is enough reason to choose it over standard wahs that have no flexibility. If you have a multi-effects pedal that offers a few different wah sounds you shouldn’t really need another wah. The main advantage this pedal offers is flexibility, so if you already have a flexible wah and are happy with the sounds it produces, you can stick with it. Check out this lesson on how to use a wah pedal. Licks and exercises are included so you can try different wah pedal techniques and use your wah pedal effectively. Read through my guide on Joe Satriani’s tone, gear and effects to learn more about his rig. Learn how each setting changes your tone. You might think you like the idea of setting your wah to a ‘modern US style sound’. But do you actually prefer that sound? Do a blind A/B test to really find out which option you prefer. Do that with the Voice option, the Wah 1/Wah 2 option and the gain dial to work out what you prefer. Of course, if you really want a basic wah, here’s my review on the Original Crybaby Wah. For more options, check out my guide on the Best Wah Pedals here. To learn more about Joe Satriani’s gear, read through my Ultimate Guide on Joe Satriani here.